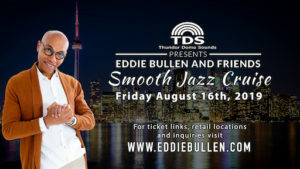 2019 Smooth Jazz Cruise Announced! Eddie’s annual Smooth Jazz Cruise has been confirmed! Dinner will be provided by the incomparable world-renowned chef Selwyn Richards from The art of catering.Dj Jahlou will be spending the latest in contemporary and smooth Jazz tunes. Dueling Pianos (Father and Son) at Jazz Bistro! Video of Smooth Jazz Cruise!